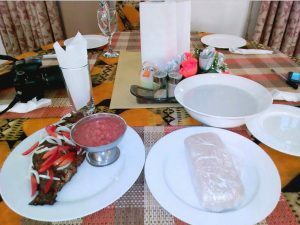 Hotel Stevens is a preferred conference destination that offers several configurations of conference packages in Ho, capital city of Volta Region. You can use our large hall that seats up to 200, or a mini hall which seats up to 35 people. We provide the necessary accessories for your conference: Projector, PA System, Internet Access, Flip Chart and Markers, Folder and Pen. At Hotel Stevens, we know that each client has unique requirements, so we offer a variety of special conference packages to meet any need. We arrange custom conference packages for residential and non-residential events. Give us a call today, or send us email for further information about how Hotel Stevens can meet your unique conference requirements. You may rent our lush green lawn for your outdoor corporate, social or private events, and wedding receptions. This offer includes lawn space, tables and chairs. We have adequate electricity supply and outlets which you may use for your event, live band or sound systems, on request.